So thought I'd start a build thread as I'm now spending most of my time doing up the van! Loving every minute of it though. I've had many projects in my life, but think I can say the this is the most satisfying by a long way. I've taken loads of pics, but will start from what I've been getting on with today, and then maybe talk about what I've done before that. So when I bought the van, I knew that it had bodywork issues, specifically on the undercarriage. But I wanted a project, and that's what I got. I haven't started dealing with the bodywork at all yet, but I've got a MIG and I'm going to tackle it when it's a bit lighter warmer and drier. Anyway, onto what I'm doing at the mo. Last weekend the drivers side door lock decided to screw itself, and as I turned the key to get in, the lock just kept spinning. And spinning and spinning, until it completely seized. Along with the fact that the barn door lock had been "superglued shut" before I bought it, I decided to sort all the locks. So I talked to Ash at Camper Essentials, who was really helpful in talking me through options. So I sent my key off to him, and he sent me back two new lock barrels matched to me key. Fitted today, worked a treat! I can now lock and open all of my doors! I also started fitting the central locking that I bought from Travelin-lite. Bought it as a package with electric windows and an alarm. Not cheap, but worth it i think to bring the basics of the van up to modern standards. Have fitted all of the actuators and control rods. All easy apart from the barn doors where I had to remove the mechanism to fit the rod. Bit fiddly, but fine really. 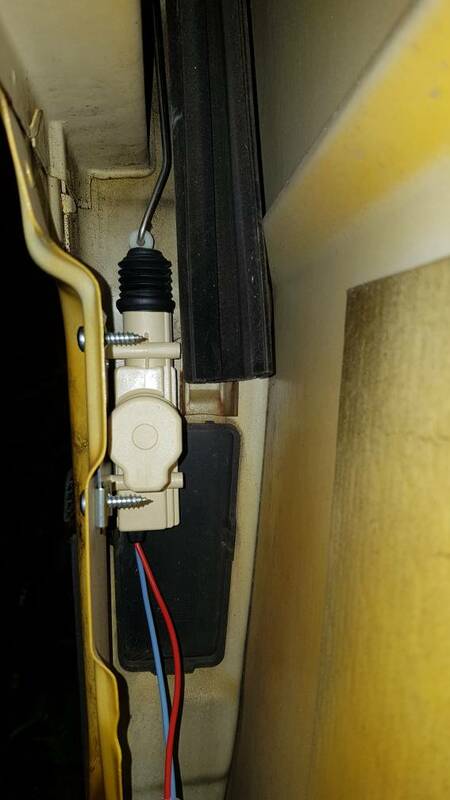 Also fitted the electrical contacts to the sliding door, so that the door actuator has power when the door is shut. 7 holes drilled and red oxided to stop rust. Fitted fine. Not done any of the electrical connections yet. Will do that soon, just didn't fancy it today. 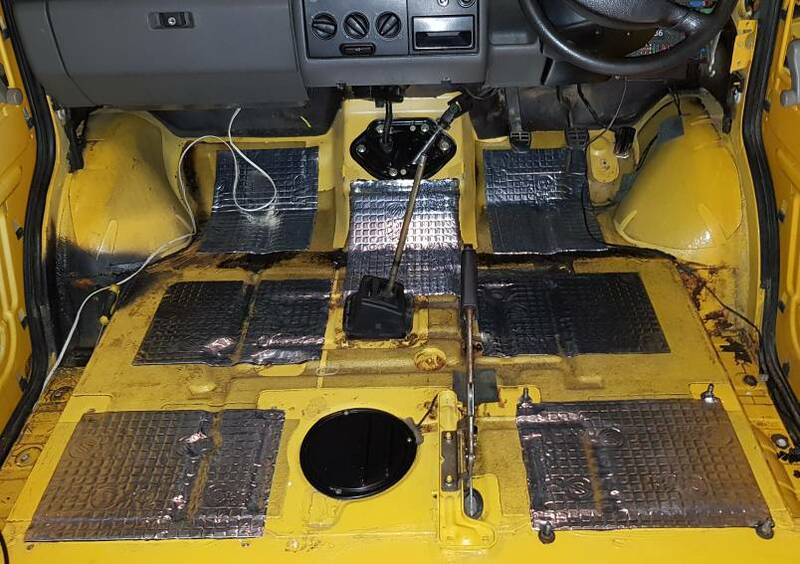 Decided to rip the seats out and put in the floor sound deadening in the cab. Silent coat stuff, again, not cheap, but hope it does the job. 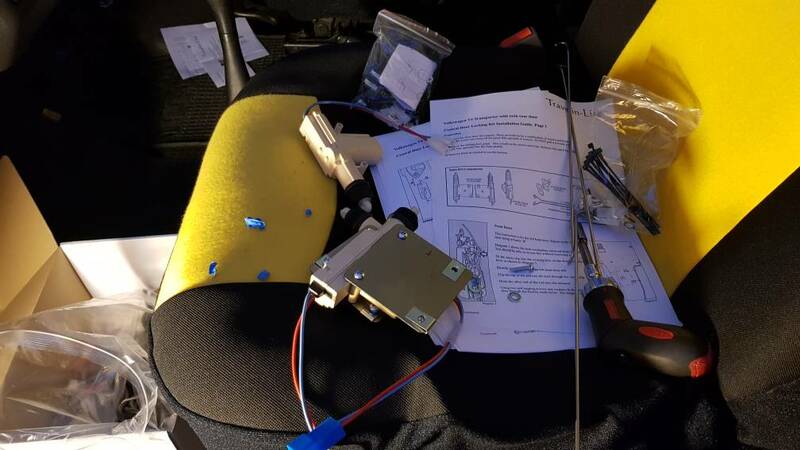 Loads of people talked about using flashband, but I didn't fancy the smell and having it fail when the van gets hot in the summer. More to do tomorrow! Will see how I get on. Just what this site needs. A fresh new build thread with tonnes of photos and a good right up to go with it. Now go and do some more and please, please keep it coming. So, had a great weekend working on the van today. Started with the oil pressure issue, light and buzzer when decelerating. I had checked all the sensors and wiring and found nothing wrong. Replaced all the sensors and still there. So I decided to get the sump off and have a look at the oil pump strainer to see if it was blocked. Bit of a faff getting the sump off but got there in the end. The strainer looked a bit gunked up, so soaked it in Gunk for a while and cleaned the sump. Good as new. Oil and filter change, and the oil is still crystal clear after running for a few hours. So satisfying. And the oil pressure issue seems to be gone! No more light. But i won't hold my breath. Amazing what a quick clean with soap and water can do. Then got the Silent Coat sound deadening on, expensive stuff. And I need more! Left the top panels blank as I'm putting windows in. When I can commit to cutting a hole in the side of my van haha. Then I moved on to getting the door cards ready to paint and fit electric windows. Then build and etch primer applied, before and after. Really like the matt finish of just the black etch primer. Does anyone know if you can just leave etch primer as a final finish? Bit worried it might get scratched without a top coat? 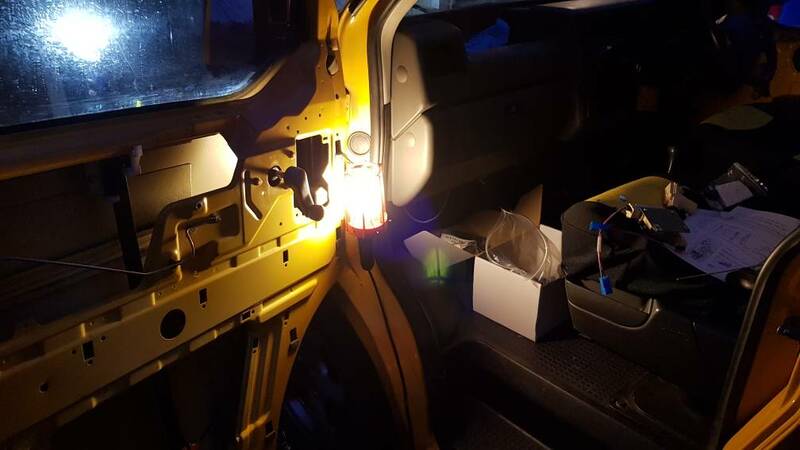 Then used the white etch and build primer on the door handles, eventually going to be the same yellow as the van, against the black door card. Looking forward to seeing the contrast. Also got the new swivel seat base installed, with in built safe and crash tested. Both seats on a swivel now! Next on the list is getting the electrics in for the windows. Great job, keep it coming. Solid barns doors, you lucky lucky man. Thanks for the update jumbungla. Is yours a 2.5? When you took the oil sump off, did you check the bottom bearings etc. Just interested, as I'd like to do this to mine. A bit nervous about doing it at the mo. Re the etch primer, was it the special plastic primer? Or regular etch primer? Just asking cause this is also something I want to do, so following your thread with a lot of interest. Glad the oil flash/beep has gone...hope it stays that way. Ps. I used Unibond flashing on my van to help with the noise. Seemed to work pretty well, and a bit less expensive.